Sure, I’m lucky. 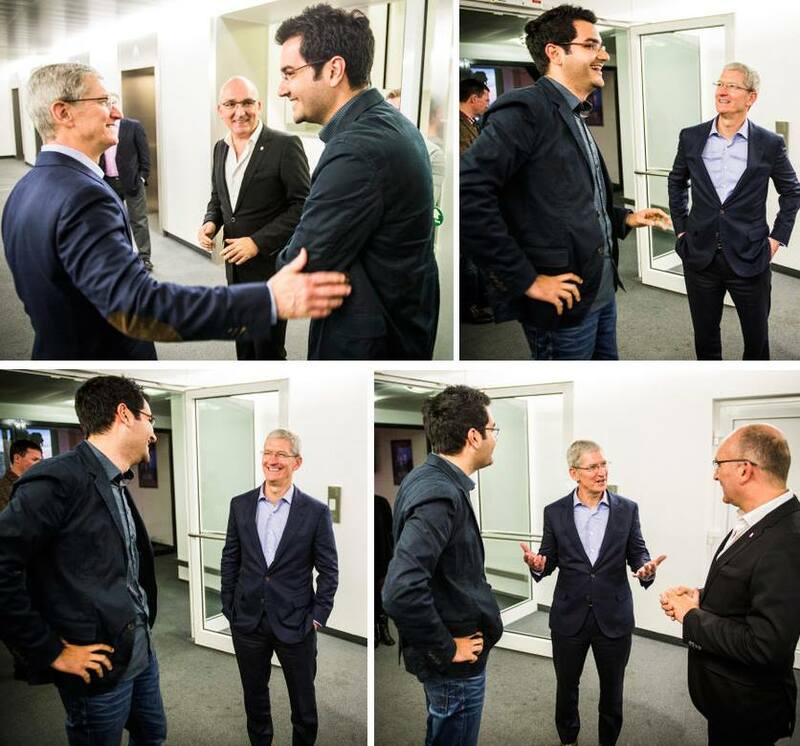 Who wouldn’t consider it an honor to have known Tim Cook, the CEO of the company that changed the way we make calls, watch TV, listen to music, and also of course, the way we read news. I met Tim last week, using already his Apple Watch. He described how Apple think about people’s daily life and how they try to make simple activities from our day easier and better. For me, this way of seeing a product, is the big difference between Apple and the industry. Listening to that, reminded me the fundamentals that we all should follow in every project we do as a designer or as a Visual Journalist. Thinking about our readers and its experience with our Stories, Graphics…etc is the basics before developing any project or telling any story. In fact, visual storytelling exist exclusively to tell a story in an easier way, exploring all the visual devices the reader can access. Today, in California, Tim introduced more details about the Apple Watch. As a visual storyteller, will be a great challenge to explore all the new possibilities the Apple Watch will give us to tell stories and to interact with readers.